Capitol Aluminum & Glass Corporation manufactures and distributes various types of energy efficient aluminum window, entrance, storefront, and curtain wall systems. The facility consists of 75,000 square feet of manufacturing, warehouse, and office space located on 19 acres along U.S. Route 20 in Bellevue, Ohio. The company is equipped with specialized automated production equipment for cutting, machining, and assembling aluminum extrusions. Capitol Aluminum & Glass Corporation began operations in 1956 as Capitol Aluminum Products Company. It was the dream and plan of a young couple who had moved to Bellevue from Columbus. That young couple was Robert and Joanna Wagner. 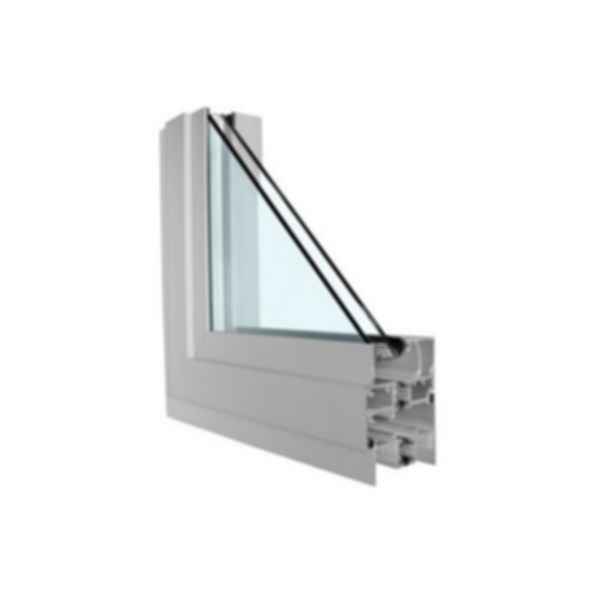 The original focus of the company was to manufacture aluminum products for the home improvement market, such as storm windows and doors, aluminum awnings and railings, and other related products suited to the residential market. During the process of beginning to manufacture these items, Robert and Joanna discovered that particular specialized equipment was required to make the manufacturing process less labor intensive and a higher quality standardized system. Machines and devices for manufacturing these products were not something that was available and consequently the owners began to devise their own pieces of equipment to produce their products. Some of the products were innovative, unique, and patentable. Other manufacturers, both large and small, learned of Capitol's manufacturing equipment and wanted to acquire various items for their own plants. As a result, a new division of the fledgling aluminum company was created, Aluminum Tool and Engineering. Aluminum Company of America (ALCOA) and B.F. Goodrich Co., both giants in the industrial world, were attracted to Capitol. Its programs for design and manufacture of aluminum windows as well as PVC windows and doors were developed and Capitol began to grow. In 1964, Capitol established its' present location on West Main Street in Bellevue, Ohio, consisting of four manufacturing plant buildings and one office building. In 1968, the original company was incorporated as Capitol Aluminum & Glass Corporation. Capitol, by this time, had begun to recognize the importance of the commercial aluminum products of the market, started the productions of aluminum doors and windows for school buildings, as well as related institutional buildings. The Arab oil embargo of 1973 greatly influenced the need for energy conserving products, particularly school buildings. Capitol's knowledge and experience, gained over the preceding four years, placed the company at the forefront of supplying and installing these types of products in school buildings. The company became recognized throughout the State of Ohio as the primary supplier of such products. From this point on Capitol specialized in energy conservation products for institutional and commercial buildings.